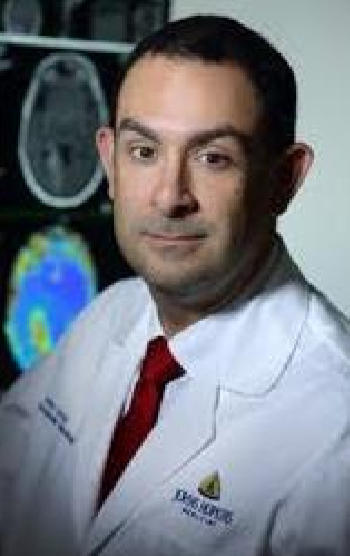 Victor Urrutia is Associate Professor of Neurology at Johns Hopkins University and Medical Director of the Comprehensive Stroke Center at The Johns Hopkins Hospital. His research interests include acute stroke therapy, he is the PI for two investigator-initiated clinical trials: the SAIL ON trial of IV tPA for wake up stroke up to 4.5 hours from awakening, and OPTIMIST, a study of the safety and implementation of a low intensity monitoring protocol for stroke patients treated with IV tPA. Also interested in stroke prevention and improving delivery of care, he has organized the Johns Hopkins Hospital Stroke Prevention Clinic which serves as a platform for research on prevention and recovery from stroke. He has recently collaborated with the Puno Global Research Site Team, and was awarded a Center for Global Health grant to establish stroke incidence and links to household air pollution in Puno, Peru.